We are always drawn back to a familiar color and flower combination. 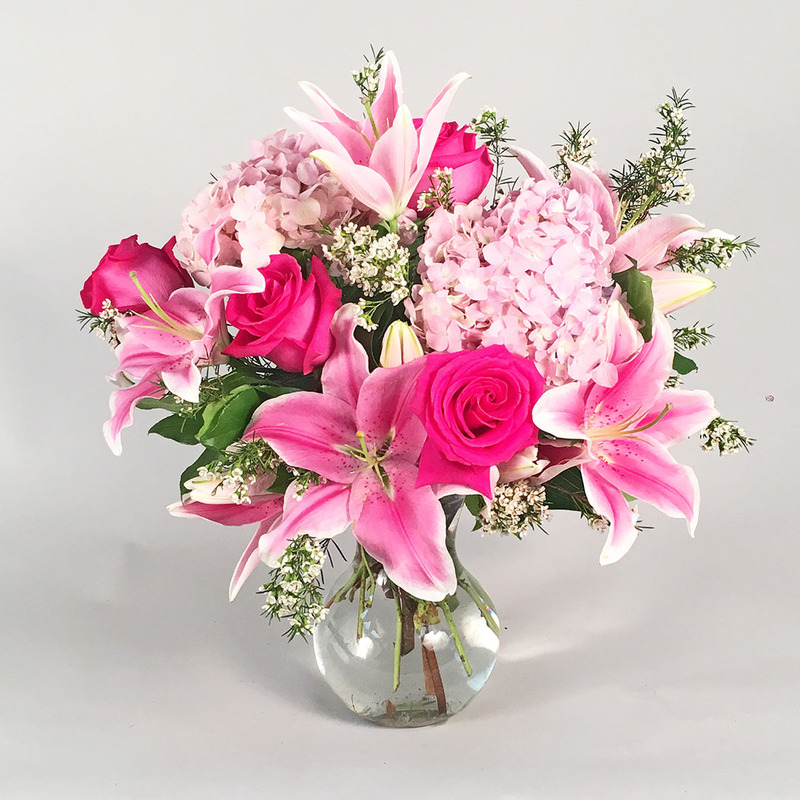 You just win every time we join beautiful fragrant pink sorbone lilies with a hot pink rose and pink hydrangeas. Two sizes of gorgeous are available.